Check our CSA Weekly blog to see what's on its way to your home this week. To subscribe to our CSA Weekly blog, just enter your email address below. What’s in the box this week? Charentais Melon - The most aromatic, decedent, firm and deliciously rich French Cantaloupe! This melon is incredible on its own but with a squeeze of lime and some fresh mint you have the perfect summer snack. Mixed Sweet Peppers - These sweet peppers are almost too good to cook with. Sweet and crunchy, the perfect grab-and-go snack! 1 pint Sun Gold Tomatoes - The start of this week’s recipe! Yellow Onions - Yellow onions have a nice balance of astringency and sweet in their flavor, becoming sweeter the longer they cook. 1 lb Barbarella Eggplant- Barbarella Eggplant will take to stir-frying, grilling, and roasting in slices to be enjoyed as is (or roasting whole to be peeled and puréed). You can toss these eggplant with pasta — excellent with tomato sauce, a touch of cream, mozzarella, and basil) or dredged in breadcrumbs and cornmeal and pan-fried or baked. 1 bunch Lemon Verbena - Lemon Verbena can be used to brighten the taste of fish, poultry, veggie marinades, salad dressing, tea, and vinegar. Finely crumbled dried leaves can be added to batters of carrot, banana, or zucchini bread. 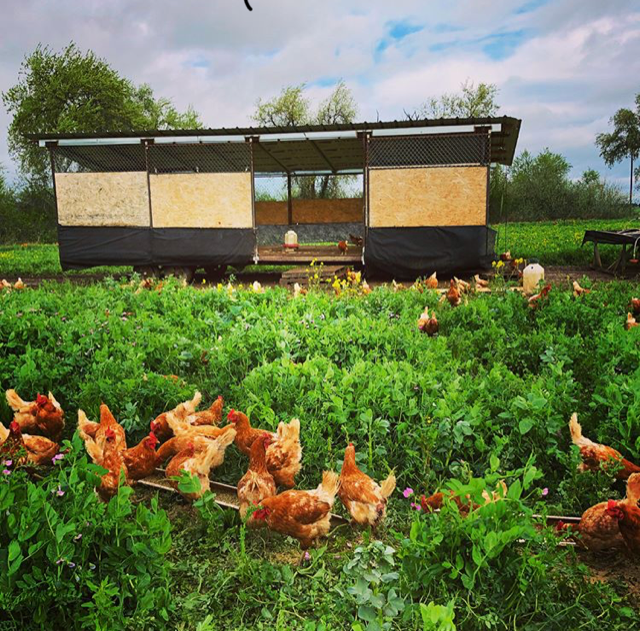 Egg Shares include eggs from our certified organic, pasture-raised, happy hens. Sun Gold Tomato Caprese Salad (Serves 4) A delightful, refreshing dish perfect for those hot summer lunches. Caprese salad is the perfect keep-it-simple summer recipe, since these beautiful Sun Golds need very little adornment - just a lap of fruity olive oil, a sprinkle of salt and pepper, bright basil, and rich fresh cheese make them sing. Combine all ingredients except basil in a large bowl; toss gently. Season to taste and top with basil. Powered by Squarespace. Photo credits: Stephen Texeira.